This study tested the effects of cell phone radiation on human DNA, both with and without the Quantum Cell attached to the phone, and found the Quantum Cell to completely reverse the harmful effects of cell phone radiation on the DNA. This extensive scientific report studies 4 main EarthCalm products. The report details the results and assessment that led to the test seal award. 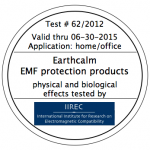 This independent organization of highly respected scientists confirmed that EarthCalm products do protect against EMFs and not only bring an individual back to a baseline of pre-EMF exposure, but actually improve health in several areas. You may download this 27 page report. 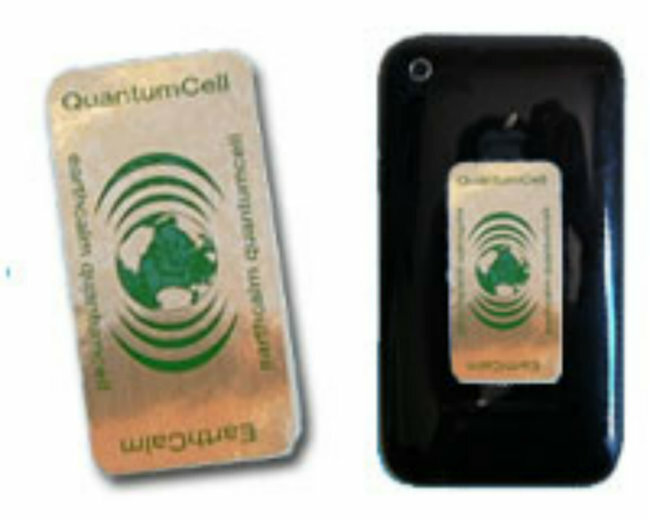 This study shows the ability of the EarthCalm Quantum Cell to reverse the deleterious health effects of cell phone exposure. Exposure to a cell phone for three minutes causes adverse health effects, as demonstrated by electrodermal screening technology (EDS). EDS assesses meridian flow and thus organ and system function. Participants were tested before and after cell phone exposure. After returning to baseline measurements the participant was retested with the EarthCalm Quantum Cell attached to the phone. When tested with the Quantum Cell attached, half of the participants in the study experienced 100% elimination of all negative effects. This study demonstrates that using the Earthcalm Quantum Cell is effective in preventing the negative health effects of cell phone use on the human nervous system. A heart monitor was used to assess Heart Rate Variability. HRV is a quantitative assessment of the balance of the two branches of the autonomic nervous system and therefore an objective measurement of overall health. Participants were assessed before and after a three minute exposure to a cell phone. After exposure, the subject was allowed to return to baseline and assessed again with an EarthCalm Quantum Cell attached to the phone. All subjects experienced a full or partial reversal of the negative effects of cell phone EMR. In 11 out of 14 individuals there was a complete reversal of the negative effects. Results of this study are a dramatic demonstration of the ability of Earthcalm Quantum Cell to eliminate the harmful effects of cell phone exposure. 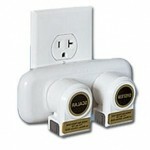 In addition, it appears that the Earthcalm Quantum Cell has a protective effect on the nervous system. Based on two different technologies that assess general health and fitness this study demonstrates substantial improvements after wearing the EarthCalm Nova Resonator. The improvements in the HRV measurement are dramatic. The HRV measure extends beyond cardiovascular function–it is the best indicator of general well-being throughout the entire human body. The significant increase in the subtle energy field after wearing EarthCalm Nova Resonator demonstrates that they greatly improve one’s energetic field related to health and well-being. Numerous studies have shown that EMR in our environment has a detrimental impact on health. 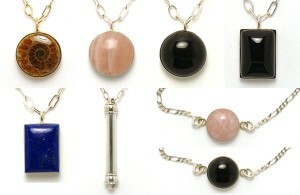 Using SCIO technology, a study was conducted to determine the impact of the Traditional Resonator pendant on stress responses in the human body. SCIO uses biofeedback to test over 9000 frequencies associated with the human body and can determine the level of energy, amount of chemical imbalance and changes due to environmental influences. This study showed the Resonator significantly improved the energy flow in a majority of the 22 meridians tested in all subjects. This improvement lends striking support to the claim that EarthCalm products release the body’s meridian system, which allows the body to heal itself of chronic stress disorders.